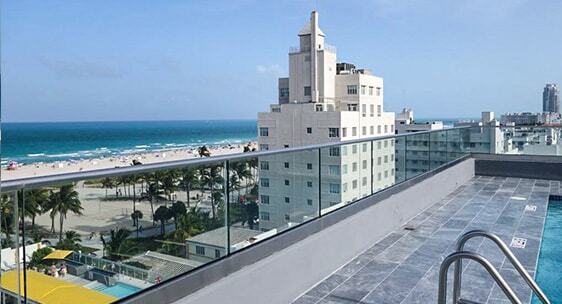 The renovation at this multi-family complex in Miami Beach involved removal of the existing metal guardrail around the rooftop terrace. 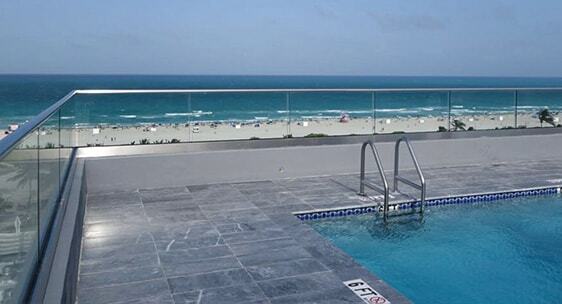 We replaced it with our strongest system available: the fully frameless base shoe railing with 13/16” laminated glass, and stainless steel cap rail. The final result was a sophisticated upgrade that met the city’s stringent wind loading requirements. 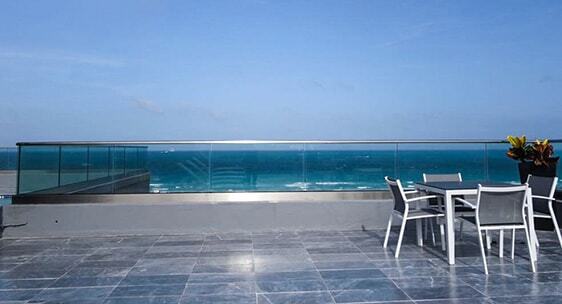 Now the Islander residents can enjoy stunning ocean views from the terrace without obstruction. 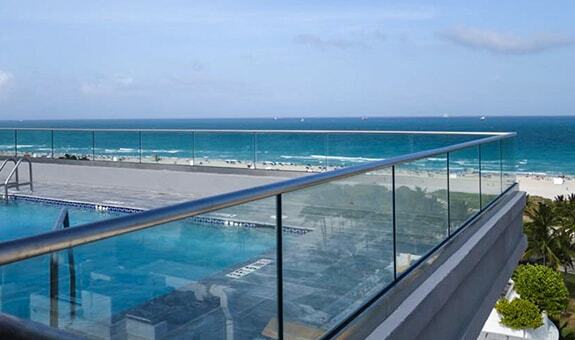 With corrosion-resistant stainless steel and durable laminated glass, this railing is built to stand the test of time.